Holy Week. Please join us for Maundy Thursday and Good Friday worship services this week (both begin at 7:00 p.m.). 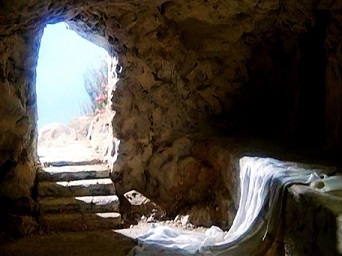 We celebrate the resurrection of our Lord on Sunday morning Easter services at 9:00 and 11:00 a.m. All are welcome! Great Day of Service. So you’ve heard about how GREAT our Great Day of Service is but can’t decide on which project to choose? Answer a few questions for the perfect fit! Enjoy “Fixer Upper”? Sign up to spruce up one of the GRACE Transitional Apartment homes. Chip and Joanna Gaines would approve. Love to cook? Prepare homemade meals to gift to new families seeking safety at Gatehouse. What a welcoming gesture. Is visiting your gift? Sign up for Love Our Seniors and spend some time sharing stories with one or more of our senior home-bound members. You won’t regret this gift of time. Play a mean game of Bingo? 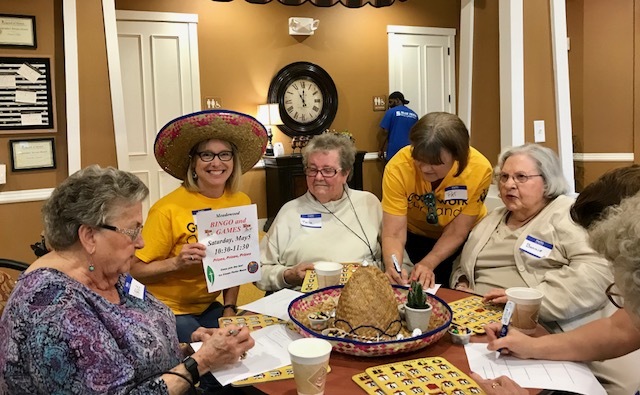 Join the residents at Meadowood Assisted Living for a lively game of Bingo with lots of prizes. Karen will even share a joke or two! Want to volunteer with your young children? Family Service Camp is for you! Create a craft and share a fun morning with Harbor Chase residents. Finish off the day with a picnic lunch at Central Market and lots of fun playing outside. Have a green thumb? Enjoy working outdoors? Join one of the Mid-Cities Care Corps teams and transform an overgrown lawn to a source of pride and pleasure. Chances are you will be blessed even more than the grateful residents. Enjoy sewing? Join fellow sewers and quilters to make aprons for our barbecue masters and pillows for surgical patients. You’ll be singing, “Sew. A needle pulling thread…”! Want to “Spark Joy”? Volunteer at GRACE Donation Station. Marie Kondo wants you to be happy. Can’t come on Saturday, May 4, but don’t want to miss out? Share Christmas greetings with veterans with Art of Encouragement. Turn on the Christmas tunes or a Hallmark movie with this festive take-home Christmas card project. Don’t wait! Sign up today at http://go.abidinggracedfw.org/greatday or complete a paper registration form at the Outreach kiosk. Easter Sunday Breakfast. The Fellowship Committee will serve a continental breakfast before and after both services on Easter morning. We'll have pastries, muffins, sausage kolaches, fruit, yogurt, Easter eggs, and juices to complement the coffee, tea and lemonade always available. Come celebrate with us Easter morning! Easter Egg Hunt. 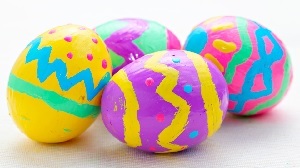 Bring your baskets and get ready to grab some eggs! Following the 11:00 a.m. service on Easter Sunday, there will be an egg hunt on church grounds. We'll meet outside the main doors after worship concludes. GRACE Transitional Housing drive. During the season of Lent, we will be collecting items to outfit an apartment for GRACE. The GRACE Transitional Housing program works with homeless individuals and families to help move them towards independence. At the Outreach kiosk you will find lists of items needed. You can then sign up to provide items which you will bring to church. If you have any questions, please contact Lori Anderson. Topgolf! 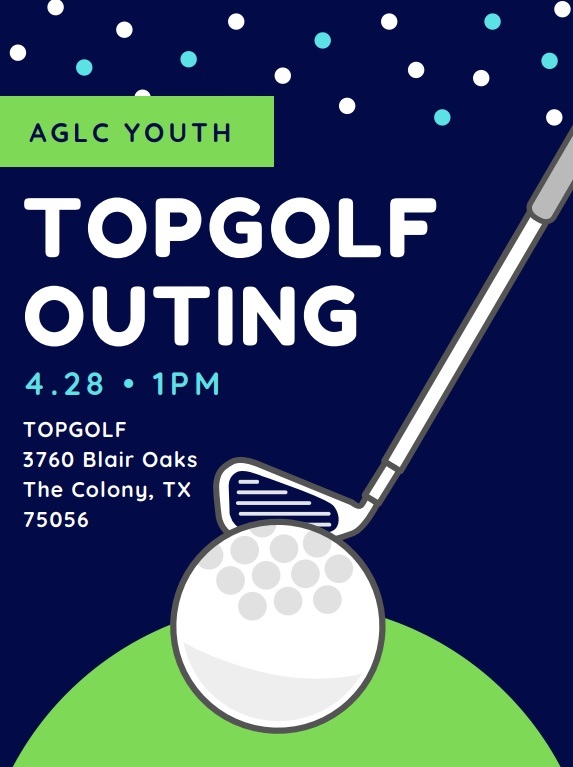 Our April youth outing (grades 6-12) will be at Topgolf in The Colony. The event will be Sunday, April 28, at 1:00 p.m. If you are interested, please contact Taylor so she can get an accurate count. Chaperones are needed, too. 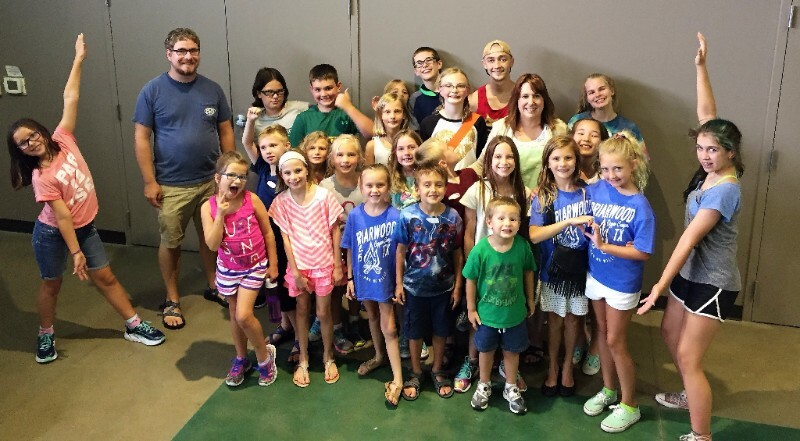 Vacation Bible School will be held this summer, July 14-19, and we need help! If you're interested in hosting counselors overnight and providing breakfast, hosting them for dinner, or bringing lunch to the church during the week, please let Taylor know. 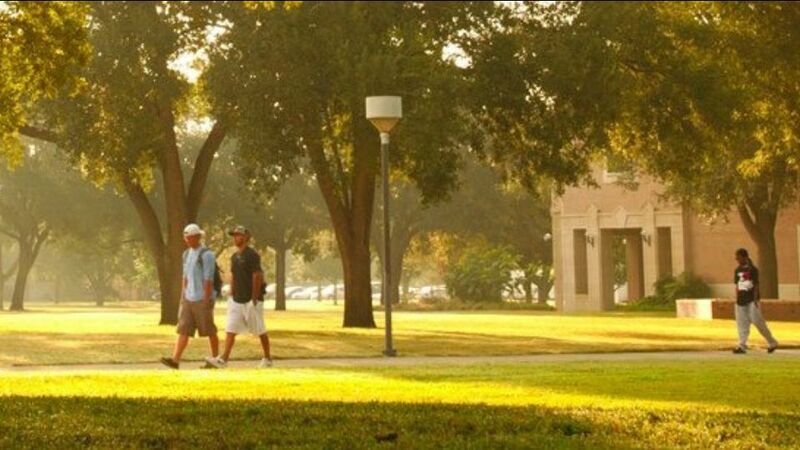 Caring for college students. Thank you to everyone who donated to our college card packages! We mailed out eleven decorated boxes filled with goodies. We hope it is a bright spot in their day to know the church is thinking and praying for them. Holy land trip. 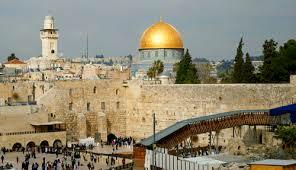 Deposits will continue to be accepted until August 1 for the Abiding Grace Holy Land trip, February 4-13, 2020. Please contact Kathy or Michael Humen at personalizedtravelllc@yahoo.com or 817-773-6527 for more information. Our Sunday School Kids Choir sang "A New Hosanna" on Palm Sunday.